As a small local business owner, you know how critical targeted postcard mailers are to the success of your business. Despite being labeled “old fashioned”, it’s no surprise why most small businesses still rely on them – because they work! But as always, devil is in the details. A successful mailer campaign requires careful thought. You must pick the right audience to begin with. This is where most of the mailer campaigns fail. Second, you must have a compelling message. Third, the quality of the mailer itself can make or break things for you. Welcome to Ellipsis 5-mile Targeted Postcard Mailers Campaign. Leave all that hard part to our professional marketers so that you can focus on running your business. 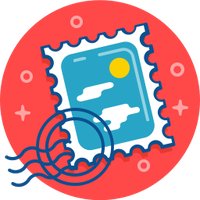 Run your targeted mailers with peace of mind. Pick options that make sense for your business and your situation. And best of all, see results! Look for available 5-mile Campaigns in your area by clicking here: https://ellipsismarketing.net/browse-campaigns.php. And then look for “Targeted Postcard Mailers” Campaign.